Hajj Pilgrims and Umrah Visitors now get a really beneficial Gadget which converts solar energy in to electrical which is then use in various ways . The full mechanism is installed on Umbrella which is a major and most used accessory by pilgrims during haj to prevent scorching heat of sunlight. This umbrella not only block sunlight but also blows air with FAN attached under it run on electricity converted form sunlight. 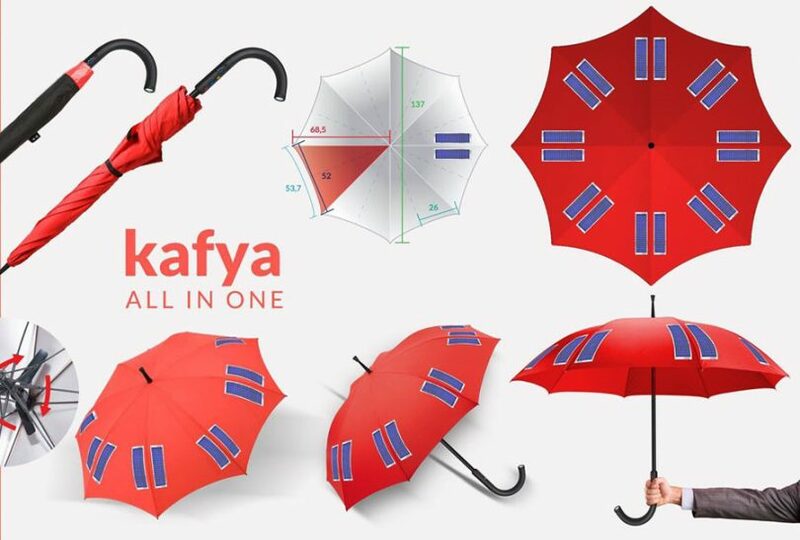 These smart umbrellas were invented by Saudi Palestinian Company and it is co created by Palestinian female consultant Manal Dandis and Saudi Arabian researcher and environmental engineer Kamel Badawi. Their Major aim is to build this to combat heat and navigation system installed in this umbrella helps to recover those pilgrims lost during performing of hajj..
Reuters reports that since Badawi has volunteered to help facilitate Muslim pilgrimage since he was a boy and through his years of service, he understood what pilgrims need the most, and thus the smart umbrella was born. Saudi Arabian researcher and environmental engineer Kamel Badawi has long history of providing facilities to Haj pilgrims since his boyhood. From years of experience he understands deeply what thing were needed during hajj for pilgrims and in that way an ordinary umbrealla is now being converted to Smart umbrella. 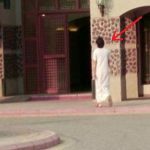 According to a study conducted at the Institute of the Custodian of the Two Holy Mosques for Haj and Umrah Research, there were almost 2,000 heat-related medical issues also from next years the hajj is coming in to months of June to September and remain in this period for almost 10 years these months were considered as hottest months in Saudi Arabia. Hence these new ways help not only Pilgrim but Hajj Managers to deals with heat related medical problems of pilgrims. For heat resistance two fabric were install on roof Outer for blocking sunlight and inner for heat insulation. 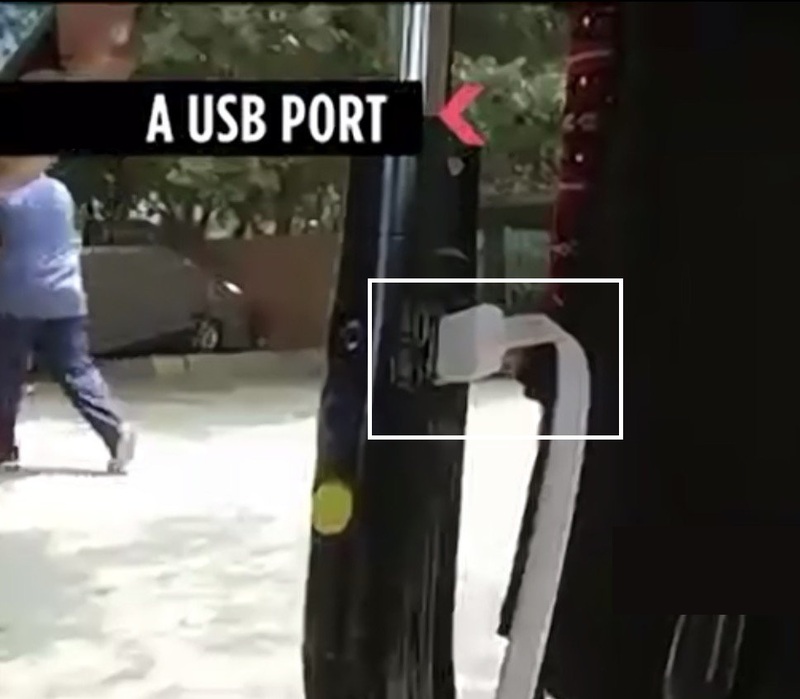 USB Ports for charging of Mobile Phones having several other uses. Builtin GPS Facilitate navigation within haj facilities. This umbrella is connected to an Application which tracks movement of pilgrims as well as the information about the pilgrim.